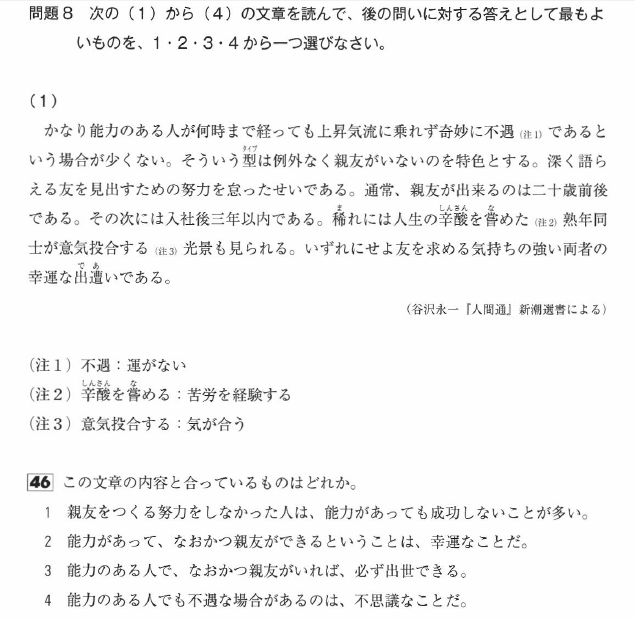 The JLPT N1 is said to be an incredibly difficult exam even with years of studying under your belt, and a lot of it has to do with how good you are at exams rather than Japanese. 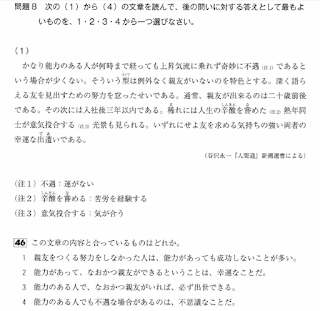 I wrote previously about studying for the JLPT N1 and I even mentioned some other blogs which provide their own advice for studying for the exam. I’ve looked online but there are not many tips for taking the exam itself. So although many of you are probably masters of the exam by this point, here are some tips and tricks you can use when taking the exam. This focuses on JLPT N1 but techniques can be applied to all levels! First I’ll explain the structure of the exam, followed by what you can do in each section to help you pass the test. This is a rough guide, it might be slightly different on the actual exam or on mock exams you come across. 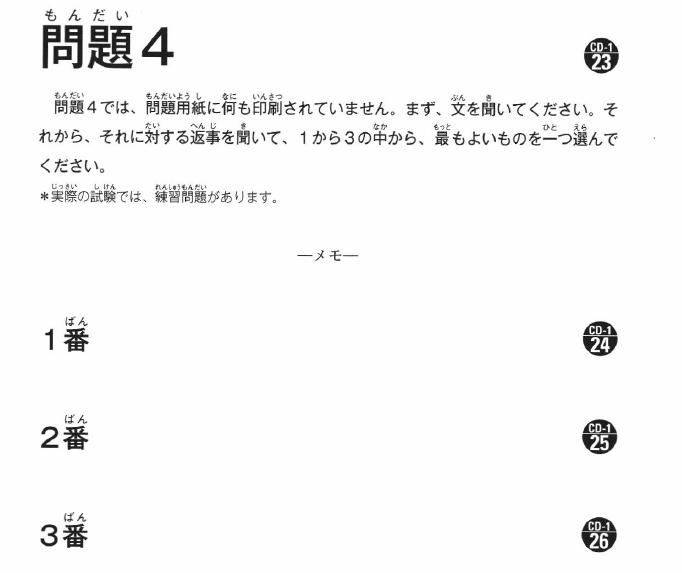 Part 1: 1 page of kanji readings (no need to recognise kanji compounds). Part 2: 1 page of filling the blank. Part 3: 1 page of words with similar meanings. Part 4: 1 page of fitting the word in the correct context. Part 7: 1 page of finding correct grammar in the context using a long piece of text. Part 8: 4 short articles (1 question each). Part 9: 3 medium articles (3 questions each). Part 10: 1 long article (4 questions). Part 11: 1 with comparison articles (3 questions). Part 12: 1 long article (4 questions). Part 13: 1 information finding piece (2 questions). Part 1: 6 short questions with answers written. Part 2: 7 short questions with answers written. Part 3: 6 short questions with nothing written. Part 4: 14 questions choosing appropriate response. Part 5: 2 long questions with nothing written, and 1 long piece with 2 questions and nothing written. You can write all over the question paper (not your answer sheet) so take advantage of this!!! On everything: Make a star next to questions you’re unsure of. If you have time at the end skim through the paper and double check your answers for questions you’ve marked. 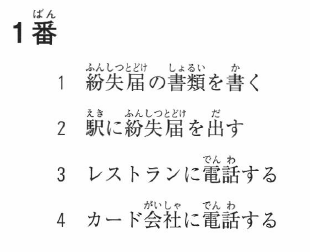 Parts 1-4: As long as you’ve studied your kanji and vocabulary in-depth (their pronunciations, meanings and when they’re used) you should be fine. But there are still some tricks you can use. Read the entire sentence for context. Don’t just jump on the answer right away, you might not have read the kanji or word correctly. Understanding the context gives you an extra edge to getting the right answer. Remove all answers that are definitely not correct first. Make it a process of elimination, go through the meaning of each word in your head and take out the ones that don’t fit. Part 5: Again, as long as you’ve studied grammar in-depth this should be ok. Similar to Kanji/Vocabulary it helps to read the entire sentence and then remove grammar that is not correct before answering. Part 6: This is the section that checks you understand structuring a sentence with grammar correctly. As long as you practice this it should be fine. Work out the entire sentence in order and write down the numbers before you answer. Check that it makes sense before moving on. Don’t forget basic grammar. Basic grammar will indicate where the word will go i.e plain form: before a noun or at the end of the sentence etc. Part 7: The reading section and choosing the correct grammar. Treat each question individually. Read the text up to the question marker and then answer the question for that part. Read the question first. You might not have time to read the answers, but at least read the question before you read the text. Go through the entire text. Even if it’s just skim reading try to go through the entire text in the course of answering. This is because if you skip information you might find that you’ve stumbled onto a pit fall and information you’ve skipped contains a hint to the correct answer. Read fast but accurate. This will need practice beforehand, but you need to read quickly but also understand clearly what’s being asked, what’s being said in the texts, and what the options are for your answers. You might think you know what it is, but a stab in the dark normally misses, so be careful! Part 8: Short articles with one question each. Skim read, but understand what’s being said. Having read the question first you should know what information you’re looking for. These are quite often “what is the author trying to say” questions. Part 9, 10 & 12: Medium articles with 3 questions each & Long articles with 4 questions each. Treat each questions separately. Just like in the grammar, read the questions separately, read up to where the information ends, answer the question. If time is tight, skip the last 2 on Part 12: If you’ve only got 5 mins left and you’re still on part 12, drop it and go onto part 13. This is because 13 is more likely to garentee you correct answers if you give yourself enough time. You can come back to 12 at the end if you can. Make a note of each articles standpoint. Often the question involves what A & B are talking about and whether they agree/disagree with the topic. As you read them make a little note on the side which is which. (You should know what info to look for as long as you’ve read the questions first). Part 13: Information finding question. Read the question and then skim read to find the answer. You won’t have much time on this one so you need to be fast. Check the small print. Often the exam will try to trick you by adding extra info into the small print, so check they have nothing to do with the question before answering! Write down everything you hear. Making short notes in English (i.e Girl – shoes, red, spotty) will help you answer all the questions!!! 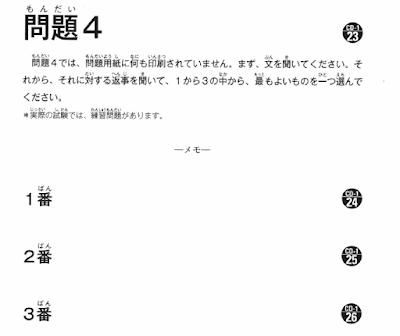 Parts 3-5: These sections have nothing printed for them on the sheet. Write down the numbers of possible answers to the side. You will get a break before part 4, use this time to write down 1-3 for each question!!! This will help you make notes and eliminate any answers that make no sense. i.e Part 4 (making notes in English) “Can’t hand in” 1- Thank you 2- Do you need help? 3- The boss if out. From the notes it’s obvious the answer is 2. I hope these tips helped. When I was taking the exam I thought it was crazy that people weren’t writing notes! Especially on the listening section! Good luck on the exam! Please leave a comment if you have any questions or your own tips.